Couple weeks ago, I was home in LA and I decided to go on a taco crawl. It’s been a while since I did one and so to celebrate this occasion, I asked the people at Saveur if I can takeover their Instagram account for the crawl. They said yes! So from 11am till 4pm, on a Friday, I drove all over LA taking photos of tacos and eating tacos. Above images: I started the crawl with 2 crispy shrimp tacos ($2 each) at Mariscos Jalisco, a Jonathan Gold approved taco truck. The tacos were glorious! Filled to the max with shrimp. Messy and delicious. Then it was steak and uni with smoked soy sauce taco ($8) at the Guerrilla Tacos truck in front of Blacktop Coffee. This was pretty good, interesting combination and actually wouldn’t mind eating an uni taco minus the steak. 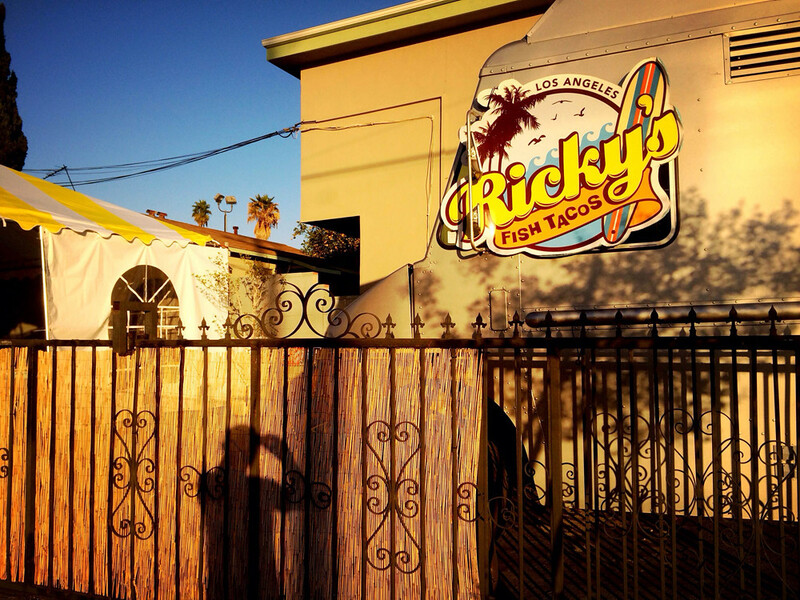 I’ve been wanting to check out Ricky’s Fish Tacos ever since I read about him on Dylan Ho’s blog few years ago. Though without a Twitter account, it was a little difficult to track him down, especially it takes about an hour to go to LA from my parents’ house. But finally he joined Twitter and I was able to see if he’ll be out on the street serving his delicious fish, shrimp and some times lobster tacos. So last October, while I was out in LA with the Big Gay Ice Cream guys, I drove to 1400 N. Virgil Ave in Los Feliz where Ricky was suppose to be. Sadly, after driving around the same corner a dozen times, I gave up and drove home. This time, armed with my iPhone and Google Maps, I succeeded in locating him! 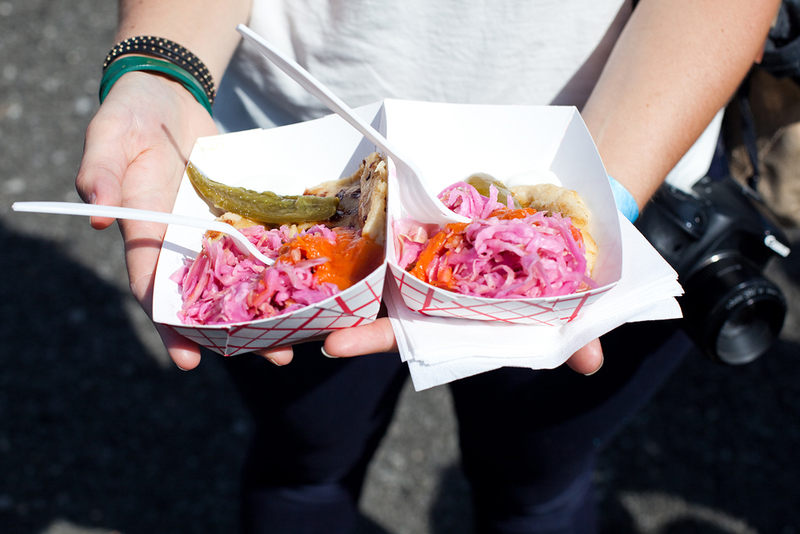 One of my favorite food events I attended last year was Village Voice’s Choice Streets. Obviously one of the thing I liked about it was the location. It was held at the Intrepid Sea, Air & Space Museum. It was also one of the most causal food events I’ve been to. So of course this year I had to go back. While the format was the same, there were few things that were different from last year that, in a way, made this year a little less fun (just a little) but overall I still had a good time. For some unknown reasons, few of the trucks didn’t show up and they may had sold more tickets than last year because the lines! There were few times where I just stood in a line for half an hour. And by 8:30p some of the trucks had ran out of food already which then added extra pressure on other trucks to continue. Here are some bites I managed to get…. In February I went to Taiwan for a week, and had an amazing time. Because it was the week of the Lunar New Year, many restaurants (particularly the vegetarian ones) were closed. Luckily, Taiwan has a vibrant street food culture. 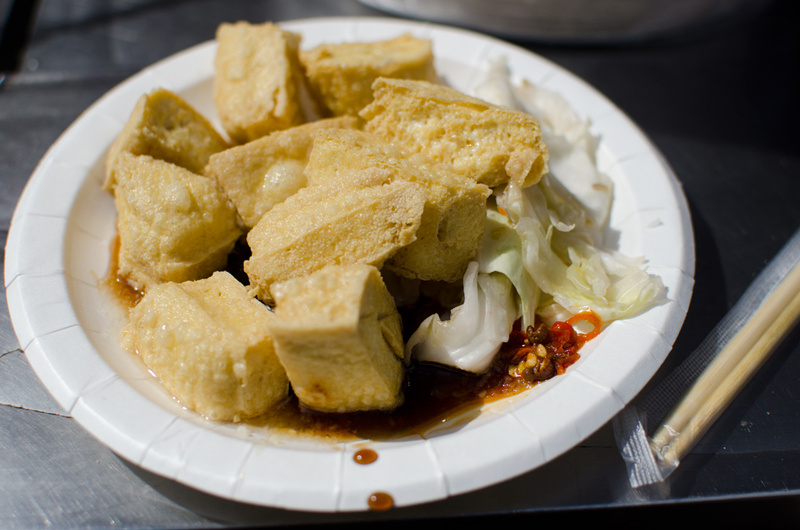 On my first day I stopped by a road-side stand around the corner from the City God Temple for a taste of Taiwan’s signature dish: chou doufu, aka stinky tofu. Yes, that’s really what it’s called. It’s tofu, left to ferment, until it develops its signature aroma: a mix of rotting garbage and unpleasant bodily odors. 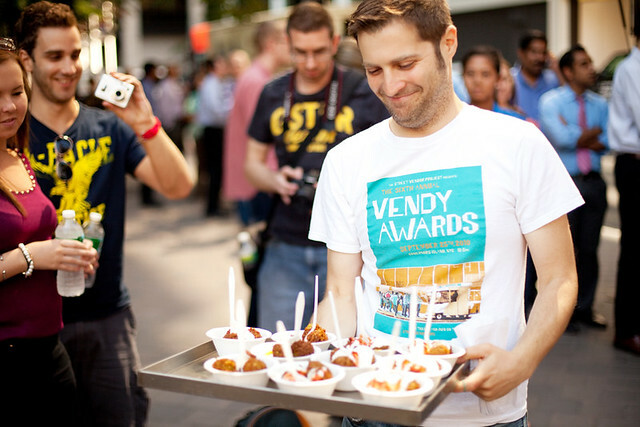 Tomorrow is the 8th annual Vendy Awards (3rd year at Governors Island). The Vendy Awards may just be one of my favorite events to attend. I missed out last year but I’m pretty damn excited for this year since many of my favorite trucks/vendors are nominated for an award this year (Uncle Gussy’s, Torta Neza, The Cinnamon Snail, Piaztlan Authentic Mexican Food, Melt Bakery). 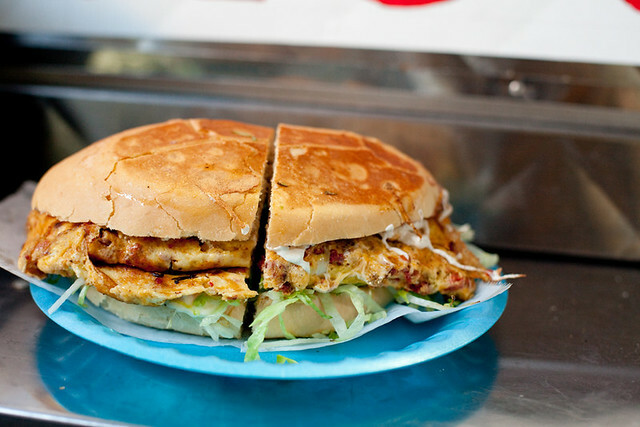 Another person that I know is a big fan/supporter of street food is my friend, Brian Hoffman aka Eat This NY. 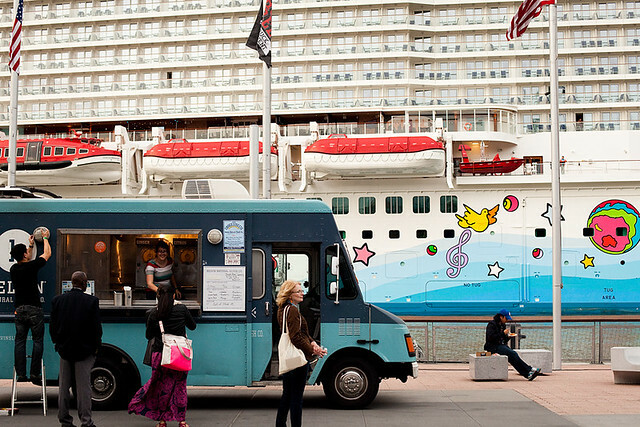 He’s such a big supporter of street food, he even gives food cart tours in the Financial District and Midtown (along with his fellow tour guides from Turnstile Tours). I thought it would be the best time to take one of their tours before the Vendy Awards. I have heard many good things and Blondie from Blondie and Brownie went on his tour last Wednesday and had a blast.